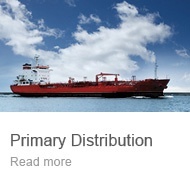 The Implico Group optimizes logistics and business processes for oil and gas downstream companies. 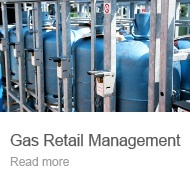 Discover best-practice solutions and services for the entire supply chain. Get a clear and practical overview of the opportunities the digital transformation offers for the downstream industry. 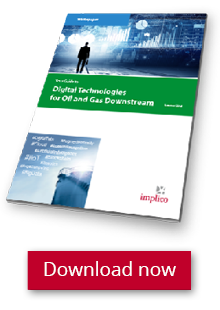 "Your Guide to Digital Technologies for Oil & Gas Downstream"
Data analysis, IoT, blockchain, AI – which digital technologies will really boost your business? 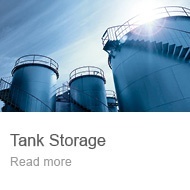 Find out how new technologies, innovative software and hardware can help you. 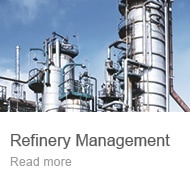 And learn from other downstream companies that are already using digital technologies. Transforming knowledge into value: Discover our unique consulting expertise surrounding the SAP downstream solutions. 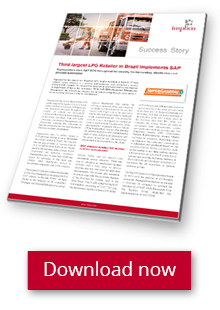 "Third-largest LPG Retailer in Brazil Implements SAP"
Supergasbras migrated its logistics IT from obsolete insular solutions to a modern SAP landscape with automated processes throughout the country. 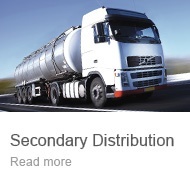 Discover how the downstream company has optimised its logistics processes and now receives precise forecasts on future consumption. "Previously, the information flow was inconsistent and we could only use certain data after we had manually processed it. Now all information is available to us in real time. This enables us to make faster and better decisions." "It was a big change for us. We redesigned almost all our business processes, and we managed to do it without stopping the business for a single day." "The final migrations went like clockwork and I look forward to working with Implico again in the future." 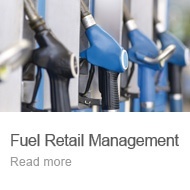 "The SAP RFNO report gives us a real-time snapshot of positive and not-so-positive trends in carwash and bistro sales at specific sites, for example."